Shareen Phillips is no longer an employee of Johannesburg South Mollywood Maids. Since our inception in 2001, Mollywood Maids has become one of the leading cleaning companies in the country. This success is due to the unyielding commitment that we have to our service and to creating long lasting relationships with our clients. Service excellence is key to our success and we continue to expand our franchise and our services nationwide. 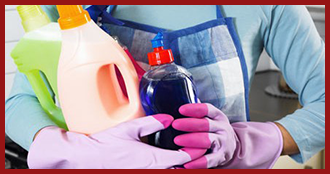 Mollywood Maids offers the most thorough and trustworthy domestic cleaning and commercial cleaning services in South Africa. 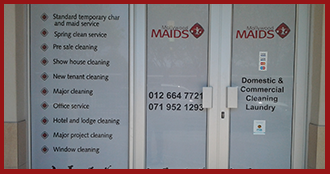 After noticing a gap in the South African market for a reliable and efficient cleaning service, Mollywood Maids was formed. We have developed a renowned and dependable name for ourselves due to our unyielding commitment to service excellence and our friendly and highly skilled staff. We offer a comprehensive range of cleaning services and our highly sought after cleaning solutions are available throughout the country. Our mobile maids are highly skilled in their trade and they offer the most detailed home cleaning services and the most advanced commercial cleaning services possible. Founded in 2001 by Sandra Bartlett and originally known as Molly’s Maids, the business quickly flourished under Sandra’s personalised and dedicated management. As the business rapidly reached new heights it was formalised as a close corporation and Mollywood Maids was born. Mollywood Maids soared to even greater heights when a stalwart labour brokering company acquired membership of the company. This assisted in paving the way for the rapid expansion of the business and subsequent franchising opportunities became available. If you require the services of Mollywood Maids or you are interested in a lucrative business opportunity, you will surely be impressed by our team. We look forward to exceeding your expectations. All of our domestic cleaning services are tailor made to suit our clients’ individual cleaning specifications. All standard cleaning services are available including: sweeping, dusting and ironing etc. Our clients’ are always welcome to specify their exact requirements when it comes to their domestic cleaning service. From deep stove cleaning to the thorough polishing of finishes, we have the professional service required. Our highly skilled staff will ensure a spotless and rejuvenating end-result. For the highest quality domestic cleaning services in South Africa, look no further than Mollywood Maids. 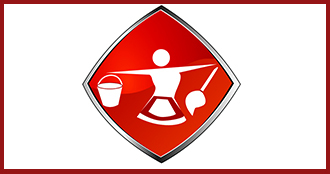 Mollywood Maids has the capacity, expertise and skill to provide the highest quality commercial cleaning services. From office cleaning services to major hotel and lodge cleaning services, Mollywood Maids has the specialised cleaning services required. We also offer an array of additional cleaning services. We will tailor make the ideal cleaning solution for our clients. From specialised upholstery and carpet cleaning services to the cleaning of show houses as well as post-event cleaning services, we have the ideal cleaning solution required.